We’re here to make sure that your customers have everything they need to improve their home and business security, and that also includes offering them specific solutions to protect their valuables. 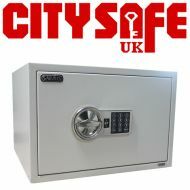 Here at City Safe UK we have available a range of burglary safes and fire safes, including the Salvus Monza safes which offer a £4,000 cash cover, EN 1300 certified key lock operation and also EBCS certified burglar resistance in accordance with EN 14450 S2. 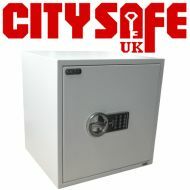 These safes are also available in different versions, either key operated or with electronic locking. Today, most businesses and private residences depend on safes to guard their treasured goods and valuable assets – which is why you stocking them should be a consideration.